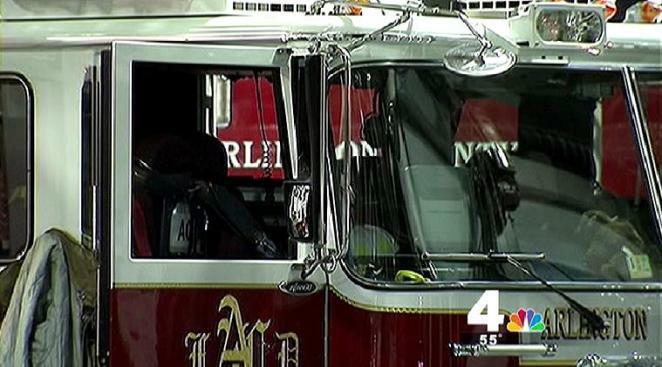 A set of keys allowing access to secure areas of the Metro system -- including tunnels -- was stolen from a fire engine on a medical call last week in Arlington, Va.
Sources told News4 the "Metro keys" were stolen from Engine 105, based out of Station 5 on South Hayes Street -- the closest station to the Pentagon. Engine 105 was briefly unattended during a medical call in Crystal City around 6:30 a.m. last Wednesday, sources confirmed. Two men donning all black outfits and masks stole the keys and a Hydra Ram, a forcible entry tool. Unlike Arlington, some larger cities use a security box to lock up the keys. In a statement, Metro officials told News4 the theft was immediately reported by Arlington County to Metro Transit Police and that appropriate steps have been taken to ensure that system security is not compromised. "Measures have been taken to prevent it from happening in the future. Details can not be released, for security reasons."